Who knew you could make Wisconsin Kringle so easily? And this Scandinavian coffee cake is amazing. Wisconsin Kringle is SO good. Hi. It’s Lois, being my Wisconsin self, hungry for Wisconsin Kringle. 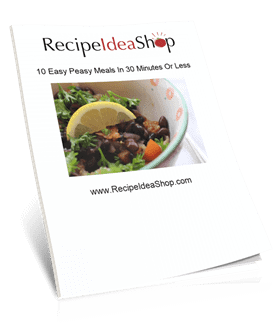 I decided to repost this recipe (originally posted in January 2012). When the weather is cold, it’s a great time for Kringle. Well, let me tell you, we loved it. It takes a bit of time to make because you have to let it chill at least 5 hours, but it’s worth the trouble. Abbi says it turns out better if you use margarine instead of butter so keep that in mind if you decide to make Wisconsin Kringle. 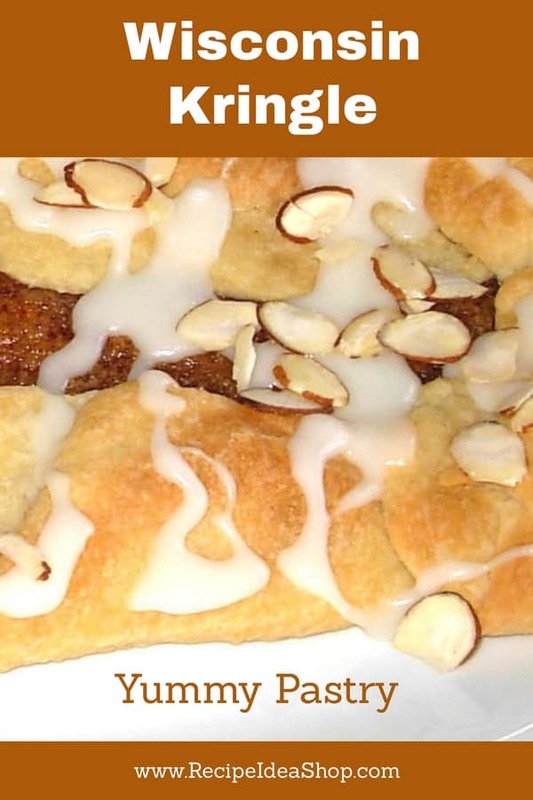 When I lived in Milwaukee, I ate Kringle fairly often. 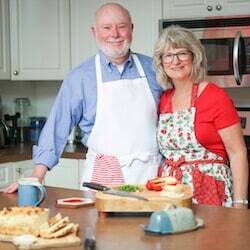 It’s hard to get in Virginia, and having a recipe for it makes me happy. Now that I’m eating gluten-free, I’ll have to try it with gluten free flour! This is the best Kringle you’re ever gonna eat outside of Wisconsin! After chilling, divide dough into three sections (for 3 Kringles) and roll each into a rectangle—about 22" x 9". Spread filling down the center and fold ends in. Bake at 350 F degrees for 20-30 min. Remove when it is golden brown, and it will be delicious. Make and add icing; drizzle it on. I use a random mix of powdered sugar, milk and melted butter (approximate amounts listed in ingredients). Sorry, I can't be more specific here—I just keep mixing until I get a nice consistency that it streams off the fork to make pretty designs. If you have a favorite icing, by all means, do that. After icing the Kringle, let it cool completely and when the icing is hard, the Kringles are ready for eating or freezing. I've used both margarine and butter. I usually HATE using margarine, but I think the dough is too crispy and flaky with butter. Kringle should have softness to it so I always go with margarine. And soy margarine doesn't taste as good as Imperial. It is REALLY sticky. Flour your rolling pin and surface liberally and often. I have never made a round Kringle; the rectangles were just so much easier. The dough will puff up while it bakes and the folds will separate, but don't worry about that. It's nice to see the filling in the middle. I use filling from a can. Solo, Wilderness, whatever. Buy the pie filling flavor that you love. One small can will generally fill all three Kringles, but my family loves the filling so I spread it thick and use 2 cans. 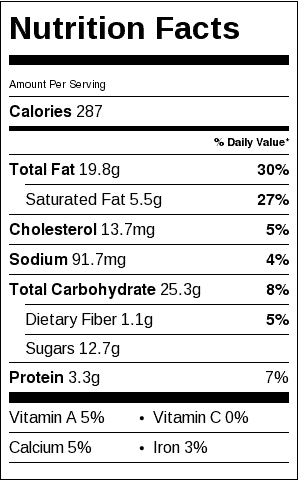 Wisconsin Kringle Nutrition Label. Each recipe makes 3 Kringles, and each Kringle serves 6. So each serving is 1/18 the recipe.